For car owners who are looking to pimp their rides, the only two places worth considering are AutoZone and Pep Boys. Both companies offer similar services, although they do have their share of strengths and weaknesses. Which one weighs heavier in the automotive stakes? Let's take a look! 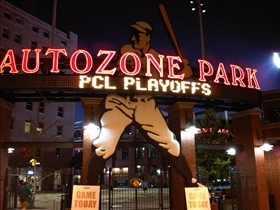 AutoZone is a retailer of automotive parts and accessories based in Memphis, Tennessee. It is a Fortune 300 company that was originally under the ownership of Malone & Hyde, which in turn was a wholesale grocery chain. A subsequent name change to Auto Shack was contested by the Radio Shack company, and after the parent grocery was sold to Fleming Companies, the company was renamed to AutoZone. Pep Boys for its part is a full-service automotive parts supplier that was founded by Emanuel Rosenfeld, Maurice L. Strauss, and Moe Radavitz and W. Graham Jackson in 1921. The first store was opened in Philadelphia, Pennsylvania. AutoZone opened its first store as Auto Shack in Forrest City, Arkansas in 1979. By 1981, the company was involved in sourcing out hard to find parts for its customers, which it did so by ordering them from wholesalers. 1984 saw the company adopting a quality control process for its parts, and by 1986, the company had embarked on a series of expansions that brought its name to the South and the Midwest markets. Further expansion–and a name change–followed in 1988, and numerous AutoZone stores began to sprout in other markets across the United States. The Pep Boys founders started up the company with $800 that they had pooled together, with which they opened up their first store. The store was then named "Pep Auto Supplies", after the Pep Valve grinding compound that the store then sold in those days. 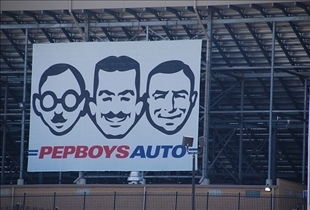 The current name came from the store owners being referred to as the "Pep Boys" by other people who would refer customers to the shop. After a trip by Strauss to California (wherein he noticed that many of the more successful companies in the area used the names of the owners) the addition of “Manny, Moe & Jack" to the company name was made, and that remained the name of the company to this day. AutoZone bought out 112 Auto Palace stores in 1998, all of which were located in six states across the northeast. The company also bought out 43 TruckPro L.P. stores and 560 Chief Auto Parts Inc. stores around the same time, and the following year saw the acquisition of 100 Express stores from The Pep Boys. By 2007, the company had no less than 4,000 stores and sales of $6.2 billion. Pep Boys on the other hand has 570 stores under its name, along with about 6,000 service bays in the United States and in Puerto Rico. The company is currently one of the biggest replacement tires dealers in the country. Which auto part store has the best selection of parts?